Announcement This is the original Botanical Lampshades, made in Sandwich, NH since 1950. I have been a juried member of the League of New Hampshire Craftsmen for over 20 years, first for stitching hats, bags and and quilting, and then juried again in 2003 for pressed flower lampshades. I am the fourth generation woman to continue the Botanical Lampshade technique in Sandwich, NH. I hand cut and hand stitch these lampshades from fire resistant materials and hardware made in America. I grow and press all the flowers and local greenery such as grasses, herbs, ferns, leaves and vines for drying and pressing. In addition to pressed flower shades, I offer the highest quality custom lampshades made with maps, handmade papers and collage techniques in over 200 different sizes and shapes. The handmade papers I feature are imported eco-friendly "tree-free" papers, and often made with waste products of other industries such as rice, grains, bananas, bark, cotton, grasses and silk. This is the original Botanical Lampshades, made in Sandwich, NH since 1950. I have been a juried member of the League of New Hampshire Craftsmen for over 20 years, first for stitching hats, bags and and quilting, and then juried again in 2003 for pressed flower lampshades. I am the fourth generation woman to continue the Botanical Lampshade technique in Sandwich, NH. The beautiful Cold River where I walk every day. Continuing the Botanical Lampshades tradition, I am the 4th generation to create these since 1950 in Sandwich NH. Heading out to the woods to fill some custom orders. Hello and welcome to my Etsy shop, which reflects so many of my passions, interests, and the rich abundance of the land surrounding me. I am a 50-something single mom living on 6 riverside acres in beautiful New Hampshire. I work at home and am seeking ways to make a living from my land and the untrammeled fields and forests nearby. I go into the woods every single day and am always discovering more about the forest pharmacy and spiritual energy that our native trees and plants offer. I value self-sufficiency, alternative medicine, organic gardening, and feeling connected to nature and place. My distant background is in fashion and I worked many years in the fur, fashion, and vintage clothing business in Boston. After a life altering accident, I gave up my business and returned to college for environmental studies, but after getting my degree, found the 9 to 5 working life was not for me. For years I sought a home based venture to support myself and my son. I found that in 2002, when I bought the Botanical Lampshades business, which had been in my town since the late 1940's. I am the fourth woman to carry on this business. 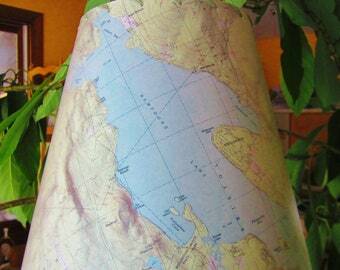 Today, my primary work is making custom lampshades, with pressed flowers, maps, handmade papers and ephemera. I grow, gather and press all the flowers, vines, ferns, grasses and leaves in my lampshades. I also grow organic herbs, fruits and vegetables, make beeswax candles and salves, collect mushrooms, feathers, shells, beach glass, heart rocks, beaver sticks, driftwood, roadkill; anything I can sustainably and conscientiously gather or harvest to create art with, or supply to you - my customers. You might also find some great vintage items, lamps and lighting supplies, lampshade materials, jewelry, beads, buttons, and other collectibles. I love to look for treasures at yard sales, antique shops and second hand stores. If you have an idea for a custom lampshade or nightlight, please convo me and we can work together to make you a practical one of a kind piece that will distinguish your home and last for decades. If you have an idea for a nature based art project, or you observe and honor any of the earth centered religions such as wicca or paganism, and seek specialty woods, berries, bark, rocks, herbs or other natural items, please let me know and I can gather them for you. Unlike many other Etsy sellers, I grow and harvest everything myself rather than buying in bulk from unknown sources, then marking up and repackaging herbs. All items in my shop were organically grown, gathered, scavenged, or ethically harvested by me in the pristine fields and forests of northern New Hampshire. Custom work is my specialty, with lampshades available in over 200 different sizes, made with pressed flowers, handmade papers and maps. Contact me with your ideas for a one of a kind lampshade. I have a life long experience studying, growing and gathering the herbs, flowers, woodland plants and trees of New Hampshire, which I continue in the most respectful, sustainable and conservative way. Please contact me for your field and forest supplies and rest assured that no natural resources or living things have ever, or will ever be exploited in a damaging, wasteful, greedy or careless manner in my Etsy shop.